This is one of many posts on my blog that will be geared toward offering actionable tips and advice to help others establish a profitable side hustle. I decided to start a side hustle series to help support the fact that not all side hustles or online jobs are scams and to provide valuable information to help you get started and begin making money. Side hustles have enabled me to increase my debt payments and make my goal to become financially stable and independent more achievable. I definitely wouldn’t be where I am financially if I didn’t have a side hustle and just relied on the income from my full-time job. Over the past few months, I’ve come across several really informative and well-written articles about side hustle ideas but I always wanted to know more about each opportunity which is why I decided to give more in depth information about each specific side hustle opportunity and how you can get started and become successful. Today I’ll start with what I know best, freelance writing, then we will more forward and expand from there. If you have any ideas of side hustles opportunities I should include in the series, please let me know in the comments below or email me. Freelance writing is a very popular and profitable side hustle and some writers have even turned it into a full-time career (Update: I just quit my 9-5 job and started working for myself and freelancing full time starting Sept. 1). I’ve been freelance writing part-time on and off for the past 3+ years and I started during college as an easy way to help pay for some of my living expenses. As a journalism graduate, I’ve always been super passionate about writing and it’s very fulfilling to me. When I started getting back into freelance writing in February, I decided to take it serious and treat it as an actual mini-business. After a few short months, I’m bringing in more than I ever did at my part-time job and I’m enjoying the work as well. If you’re interested in pursuing freelance writing as a side hustle, here are some of the main steps you should take. The freelance writing industry is extremely diverse and it’s important to narrow down the topics you wish to write about since the possibilities are seemingly endless. Even if you like to write, coming up with posts, articles and content on a regular basis can be a tedious process. You should think your area of expertise or something you would enjoy talking about and prepare to write for clients who specialize in that niche. That way, when you have articles due, you’ll be motivated to write and enjoy the entire process from start to finish. My favorite topics to write about our personal finance, parenting, fashion and basic health and wellness habits. It’s a good idea to diversify your preferred range of topics to avoid burnout or writer’s block. I like how I can alter the topics I write about each week for clients so I’m not just creating various posts about getting rid of debt each week; because that can get old quick. We all have different interests so it’s a good idea not to limit yourself to just one niche and be more marketable to different types of clients. To start bringing in paid jobs as a freelance writer, you’ll need high-quality writing samples if you don’t have them already. About 100% of clients will not hire you if you don’t have writing samples. Notice I didn’t say 95% or 99% but 100% meaning no one is going to offer legitimate work and pay you to write for them if you don’t have samples that showcase your writing abilities. If you don’t have any professional writing published online, you can always volunteer to contribute on your favorite websites and guest post on blogs (I’m always open to inviting guests to post interesting articles on my blog). You most likely won’t be paid for your writing at first but think of it as an investment and a way to build up your portfolio so you can get paid jobs. If you want to get started with freelance writing and land your first assignment, you need to have some form of an online portfolio. Creating your own blog and posting regularly would be the best option because it showcases your skills and creativity along with allowing potential clients to see that you are an active writer. Even if you only post once a week, establishing a professional and neat-looking blog – along with a hire me page to let people know you’re looking for freelance work – is one of the most effective ways to land new clients. Don’t believe me? My first official client found my blog somehow, read my hire me page and approached me about my writing services. It was nice to have someone email me about working with them instead of having to pitch someone about my services. That client turned out to be one of the best, allowing me to choose my own topics each week and I always receive payment no later than 1 day after I submitted each article. Pinterest.com – Yes, I said Pinterest. Check out this post to learn more about how you can create a writing portfolio on this platform. Still a little lost about how you want to approach freelance writing? If you think you may need additional help and guidance in order to kick off your freelance writing side hustle, you may want to work with a mentor or coach. I spent a few months working with Cat Alford from the site CatherineAlford.com (formerly known as Budget Blonde) through her freelance writing coaching program. She has now made the program bigger and better by turning it into an insightful online course for aspiring writers who wish to land well-paying writing jobs! It was one of the best things I could have done to get a good start in the field. Cat is an experienced blogger and freelance writer and she helped me avoid costly rookie mistakes and present myself and my work in a professional way in order to land high paying writing gigs. When I initially started working with Cat, I remember filling out a survey and telling her that my initial goal was to earn $1000/month from freelancing. Then when I got started, I realized how much work and dedication was required and even though I loved my writing jobs, I realized it would be a bit of a challenge to meet that goal while working my full-time job and taking care of my son and I immediately started settling for a lower monthly amount like $500. Well let me tell you, I earned $500 very quickly and this month I received almost $1000 worth of freelance work assignments just short of $20 so it’s more like $980 (If you follow my online income reports, you’ll see that my earnings have been steadily increasing over time and last month now I usually earn around $3,000+ strictly from freelance writing. My freelance writing income has tripled in a year because I chose to invest in myself and seek out professional help from someone who already knows the ropes). I manage my time very wisely so it wasn’t a major struggle to complete the assignments and I’m kicking myself for ever doubting my initial goal. With freelance writing, it IS possible to earn a decent amount of side income each month and enjoy doing it as well. Cat really helped get me prepared and in the mindset to earn more money from writing. If you’re serious about making good money as a freelance writer and avoiding all the rookie mistakes that could hold you back, I’d strongly recommend taking Cat’s online course. There are three different levels to meet anyone’s budget and the investment you make in the course will pay for itself time and time again when you start landing new clients and professional writing gigs. Like all jobs, your network can be instrumental in terms of your success. You should establish connections with other bloggers and writers improve your presence on social media and follow the companies and individuals you want to work with. You can also comment on posts on other people’s blogs so they become familiar with you should you ever decide to email them to pitch your services. Tell your friends and family that you are interested in obtaining some freelance writing jobs and promote yourself on social media and to local businesses and organizations in your area. By utilizing your network, you’ll be one of the first to find out about unadvertised job leads and find legitimate writing jobs. As a bonus, sometimes I add topic ideas in my pitch email to showcase my creativity to the client and plant the idea in their mind to allow me to draft a trial post for their site. After I do a trial post, I can usually showcase my value and reel them in. When you finish creating your pitch, you should edit it carefully to avoid sending any grammatical errors or typos. If you need additional help with pitching, be sure to check out my 4-day pitching course and challenge to help you land new clients you’ll love. Run it through Grammarly which is a free service that will expose typos and incorrect grammar instantly. Since you’re applying for writing jobs, proper spelling and grammar in your pitches is crucial. It may help to have someone else read it over and search for mistakes or bad wording that can be improved. Searching for your first writing job can be a tense process. But it doesn’t have to be if you search in all the right places. Avoid content mills and sites like Outsource and Elance where tons of writers bid on low paying jobs. Reach out to your network and other writers or bloggers to let them know you are looking for work and if they know anyone who might be hiring. Believe me when I say there are plenty of writing jobs to go around. You can also join Facebook groups like the Careful Cents Club to help you connect with other writers and soloprenuers when job leads come in. I know Craigslist gets a lot of flack, but I do check their site for gigs every now and then. In the past, I’ve landed two gigs from Craigslist ads but they both didn’t pay that well. You should watch out for scams on Criagslist and only pursue opportunities that seem legit and pay you what you’re worth. If you’re looking to earn some extra money on the side (which could even turn into a profitable full-time career, have you ever considered freelance writing? Why or why not? What additional questions do you have about becoming a freelance writer? Sound off in the comments. What a great and comprehensive article, Chonce! I have found that the pitching process, in the beginning, can take a lot of time. Now that I am trying to get back int he game, I spent HOURS last week sending out pitches with no responses. Another thing I would add is to have a contract ready to go, and know your pricing. Melanie, from Dear Debt, always asks her clients what their budget is, instead of telling them how much she wants. She gets paid much more that way, but you still need to be prepared with your rates in case that’s all they will discuss. Writing your first pitch can be a process, but I found that once I got one solid pitch going, I would easily alter it and change sentences around depending on what position I was applying for. I totally agree about the pricing. That’s a really good idea to ask a client what their budget is if you have no idea what to charge. I might start doing that sometimes so I don’t under quote. Nice article! I did freelance writing in high school and in college. My writing skills are rusty at best. My biggest issue with returning to the freelance world is picking a niche. It’s kind of like my blog, I write about anything under the sun and I need to start narrowing my focus a little bit, at least fora little while. I feel the same way about my blog. I feel like other people have such a specific niche or a topic they are popularly known for. 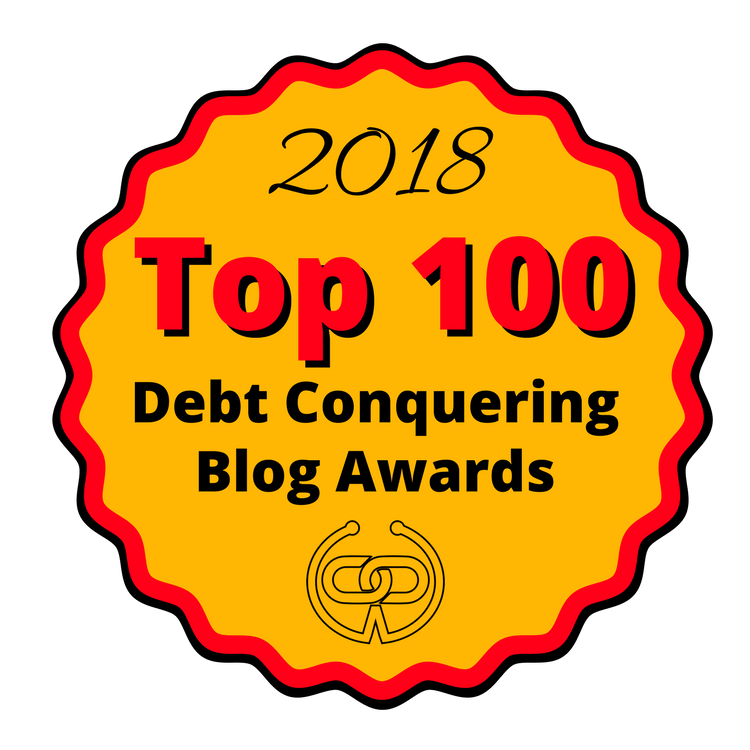 I blog a lot about debt and frugal living, but I also like to talk about increasing income, budgeting and basically everything personal finance. I feel like I can’t just choose one topic but I do feel like I need to specialize in something if that makes sense. I’ve been going back and forth debating if I should start freelancing or not. I honestly need to give it a try. I freelance casually and have a few clients. Originally my goal was to seek out more clients for 2015, but to be honest it was a bit of pain since my blog required more of my attention that I originally anticipated. I’ll need to check out those links you listed. I hear you on that. Maintaining a blog is very time consuming. You have to have almost impeccable time management skills to be able to work, blog and side hustle without losing your mind but it is possible. Excellent post! I really like that you are going in-depth with side hustles. I have written some of those “higher level” posts but have only written in-depth about freelance writing and blogging. I had an awesome freelance gig last year but have since focused on my own blog and grad school. My one tip is for people to be willing to write for a low amount at first. People who hire writers (myself included) are much more likely to hire someone with published work. I honestly wouldn’t even consider hiring someone who doesn’t have a blog or published work online. I’m always interested to hear about how other people quote for freelance writing gigs. For me, I try to base if off my time needed to complete the assignment and any additional tasks. I think you got it covered! I would add that having a blog is a great way to find new clients. I agree. It’s one of the best ways to differentiate yourself build up writing samples. Chonce, I am so excited to follow this series. I have one gig that I love but too scared to take on others. Your tips are great and I look forward to read more freelance tips. Thank you for detailing what it takes to be a freelance writer and how to best pitch to blogs you want to write for, I’ve been wondering how to go about getting freelance writing work. Freelance writing is definitely an idea I will be pondering, right now, I have been focusing on guest posting and have a couple in the works, but it would certainly be nice to get paid for the work. That’s great this post was helpful. I think you should definitely give it a try. Guest posts are a great way to get started. Thanks for these tips, Chonce! I’ve been wanting to get into freelance writing…I think my main struggle is trying to find potential places to pitch to. I guess I need to just keep on trying to discover new blogs/sites that might accept freelance pitches. If you happen to have any suggestions as to how to find more of these, I’d love to hear them.